You can receive fruit you expect to sell to keep a record of the weight/delivery in vintrace and then remove it so as to ensure it’s not accidentally crushed/pressed into a batch of wine. We recommend setting up a new Owner called “Sold fruit” or the company you are selling the fuit to. 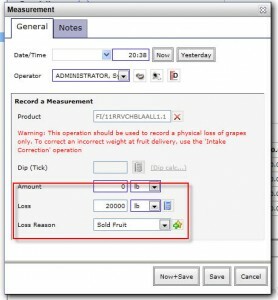 You receive the fruit as normal (using the Fruit intake console) but ensure the Owner is set to “Sold fruit”. 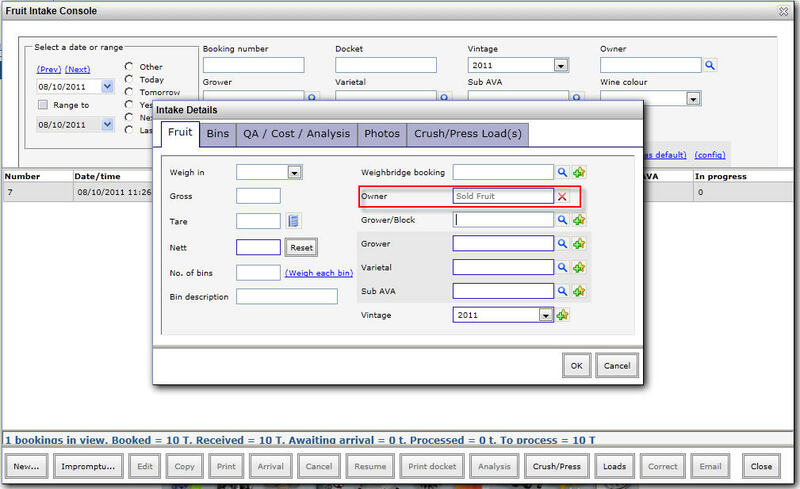 Another possibility is to configure a Grading under Winery Setup –> Work-flow –> Grading and make a selection on the QA / Cost / Analysis tab of the delivery screen. The Grading may be a good way to flag the fruit against a particular buyer so this can be reported later using the Grape Delivery Report. Once received, the fruit needs to be measured down to zero to remove it from the system. 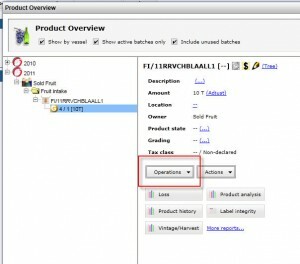 Expand the Classic Product Overview (located under Search men), “Sold Fruit” and the Fruit intake folder and select the fruit in the tree. 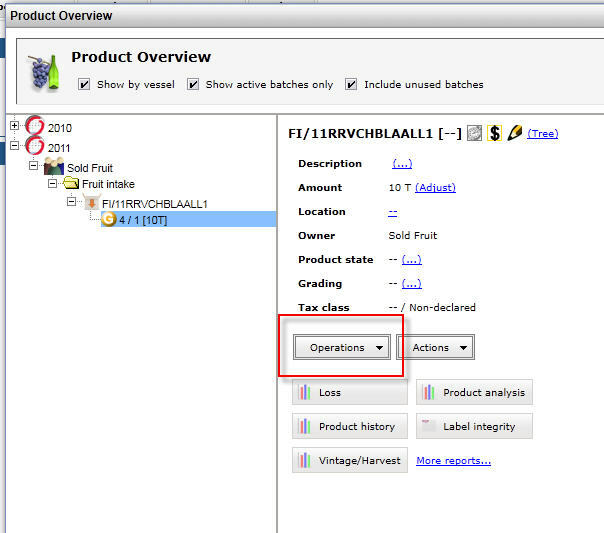 Select Operations –> Measurement and measure down to zero. 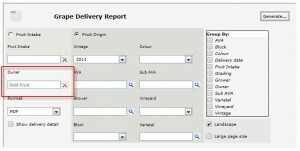 At this point, once the fruit it removed, you can report on the “Sold fruit” using the Grape delivery report under Winery Reports –> Vintage/harvest. 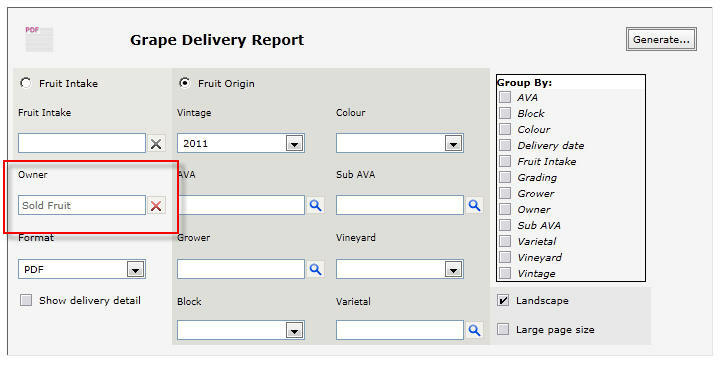 The CSV version of this report includes the Grading if you have made use of that feature to allocate the sold fruit to a specific buyer.